It’s seldom a company that has its beginnings in a completely different sport in a completely different country on a completely different continent can become a viable manufacturer for another sport altogether. 1906, folks. Can you believe that’s when Mizuno started? Rihachi and Rizo Mizuno sell baseballs out of a shop in Osaka, Japan. In 1910, they start making “ready made” athletic wear, and start planning the manufacturing of other sporting goods. They open a Tokyo branch in 1912 and start delving into baseball gloves. Then, in the years leading up to 1920, Mizuno sells a variety of baseball products and sponsors several popular championships in the area. Finally, in 1921, Mizuno plans to produce golf clubs. And… skis. In the next fifteen years, Mizuno produces golf clubs, creating enough to expand into a large showroom in 1935 — large enough to become the world’s largest. They continue producing several sporting products, and it isn’t until 1968 when a significant advancement in clubs arrives — the Grand Monarch golf clubs, which become very popular and start making Mizuno receive golf publicity. Then the ’80s bring more than just the Moonwalk and Aqua Net sprayed “tidal wave bangs” — it also brings Mizuno’s golf workshops to the United States. Contracts begin to be signed, professional golfers are sponsored and begin winning, until we see the clubs in 1997 being used by several pros. In fact, in this same year, Mizuno irons are top in 4 categories on the Tour: percentage of use by all players, number of tournaments won annually, rate of use by top ten, and annual total prize money. The company in the last few years has continued to innovate and create products that some of the best players in the world choose — making Mizuno a major player in the world of golf, and not just a company who made baseball equipment. 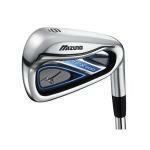 It is still the most popular branding of Mizuno — the set of irons in a good golfer’s bag. While they make several other products, irons such as the MX900s are still one of the most often sold sets from pro shops everywhere. 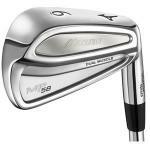 The MP68 irons are also among some of the top sellers. As with anything, one must try out the feel of the club. While they may not be made of the same Japanese ash trees from the early 1900s, these clubs are definitely worth a swing. Well, isn't this interesting? Mizuno, the king of "Players" clubs, is sticking their big toe in the game improvement department. Let's take a look at what they've come up with. 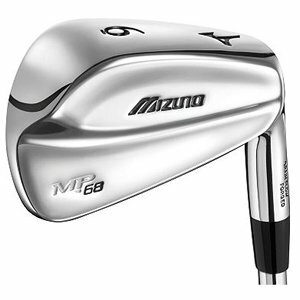 Earlier, I did a couple reviews on some beautiful new Mizuno Irons: the Mizuno MP-58s and Mizuno MP-68s. 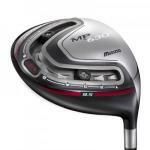 This Mizuno MP Wedge is the perfect complement to either of these sets. I'm drooling now. Please don't look at me. It's embarrassing. These Mizuno MP-58s are a thing of beauty. 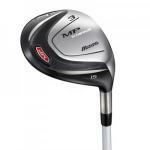 With today's technology, you need to select the right club for you. Even with the simple ol' sand wedge.